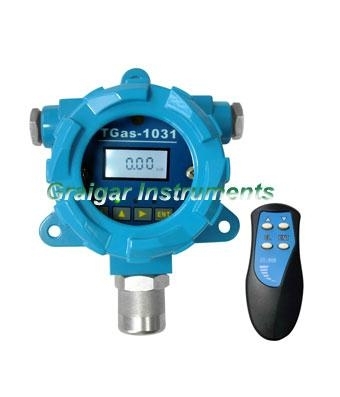 TGas-1031 Series Combustible, Toxic and Harmful Gas Transmitter can continuously measure the concentration of site gas, and convert the concentration signal into 4-20mA output. It is extensively applied in petroleum, petrochemistry, chemical industry, gas, coal, metallurgy and electric power; safety detection in municipal administration, telecommunication and traffic tunnel construction; the place where combustible, poisonous and harmful gas might leak, such as gasholder station and special industrial factory building, etc. l Function of automatic detection at starting up, and it has advanced function of self-diagnosis and self-reparing. l When the sensor loses the function of monitoring alarm because of ageing, the detector is capable of automatic recognition and alarm, so as to effectively avoid missing report. The effective alarm is 1 point or 2 points; each alarm shall use SPDT electronic relay.